Play centres can be a child's delight and a parent's best friend. For most parents they are a place to relax or catch-up with friends while the kids are entertained. 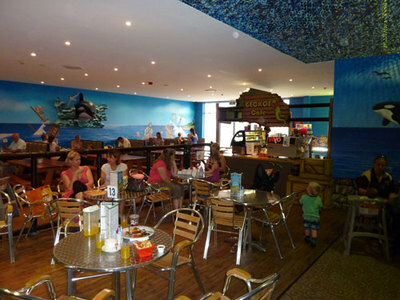 Whilst Geckos Family Fun Centre fits this brief, it is unique by catering for all-ages entertainment. The secret to the success of Geckos is that there is enough variety on offer to satisfy the whole family. There is a zone for toddlers, a three-storey play structure for the kids and a range of specialised activities to keep the teens happy. Adults are even encouraged to play with their children. We visited recently during the school holidays and although it was busy it didn't feel crowded. We found it to be a clean, safe environment with staff who were friendly, helpful and genuinely interested in making sure that we were having a good time. 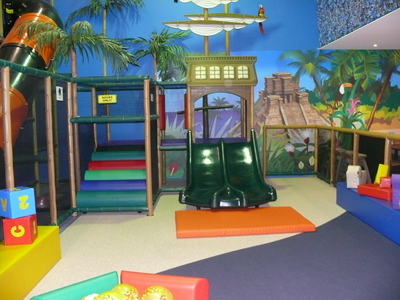 The toddler play zone includes a pirate-themed soft climbing structure, fort and slides. Mats, inflatable toys and other soft play equipment make this an area that is not only safe but fosters some great imaginative toddler play. Parents can rest assured that their little ones can play safely here as the zone is fenced and gated. There is bench seating available just outside this zone, although café seating is more conducive to parent groups wanting to have a chat. We loved the shoe storage area as the kids enjoyed taking on the responsibility of looking after their belongings for the day. The play structure is huge – three storeys of climbing, sliding and crawling fun that weaves and twists above some of the activity rooms. This area has an Indiana Jones feel about it as it is jungle-themed. Apart from size, the difference between this and similar structures at other play centres is that parent participation is actually encouraged. However there is once again bench seating or the café option for parents enjoying the break. It is a little more difficult to keep an eye on the kids from the café though. The play structure area is where we spent the majority of our time during our visit and was clearly a hit with the older toddlers and school aged children. There are a range of specialised activities on offer here too, although they are not included in the entry price. Game cards can be purchased from the front desk during your visit. 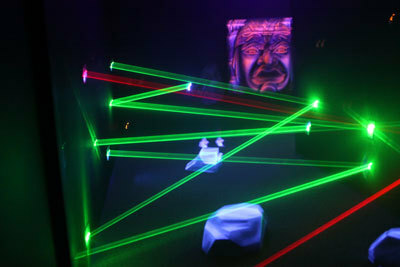 Lasertronics will test your co-ordination skills as you manoeuvre your way through a maze of laser beams. 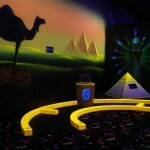 Set in a black-light arena with fog and music for effect, this is perfect for a challenging family activity. Balltronics is another game perfect for everyone in the family which sees teams battle it out in an arena similar to Lasertronics. This time soft foam balls are launched from cannons, testing your skills of defence and accuracy. 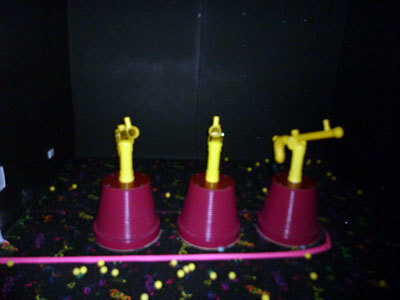 Laser tag is also available and would make for a great birthday party or corporate event activity. During our visit we chose the more subdued activity of mini golf. This nine-hole course was a course unlike any other we had seen before. The kids loved the 'glow-in-the-dark' element (set in another black-light room). The café had a large selection of food available including pizzas, burgers, salads and sandwiches. Platters are available for larger groups. The service was fast, the food was fulfilling and prices were standard. Little buccaneers will appreciate the ocean themed décor. Party packages are available and appear to offer flexible options. 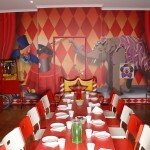 Parties are held in one of Geckos especially themed rooms – adventure, princess, circus or enchanted. Our daughter already has her eye on the pamper package party for her next birthday. Click here for further party details. Geckos Family Fun Centre is located in the Village Square shopping precinct, Commerce Drive, Browns Plains. On initial entrance to the car park it can be hard to spot; simply head towards the Trade Secret side. Car parking is plentiful and easy giving you free direct access to Geckos. Entry prices vary depending on age and day you are visiting. Childrens prices start at $6.50 for 1-4 year olds visiting on a weekday; adult prices start at $3.50 when visiting on a weekday and include a free coffee. Prices are subject to change so it's best to check the website. The Facebook page also has regular specials, packages and vouchers available. Please note that it is best to check the website or Facebook page to confirm opening hours as Geckos often has extended school holiday hours and or may be closed when booked for private hire. It's also good to know that pass outs are available for return entry on the same day. 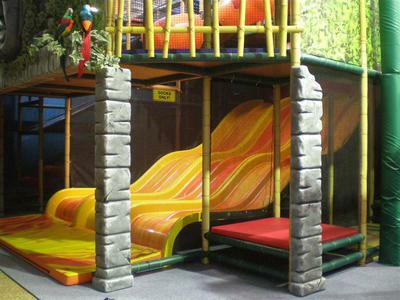 Geckos Family Fun Centre is a stand-out in the play centre world as it is rare to find a venue which encourages whole family participation. 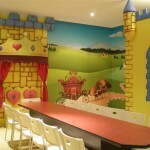 This is the perfect place for groups containing very young children as well as teenagers and adults. Remember to pack your socks (adults included) and encourage the kids to bring along their pocket money for game card activities. 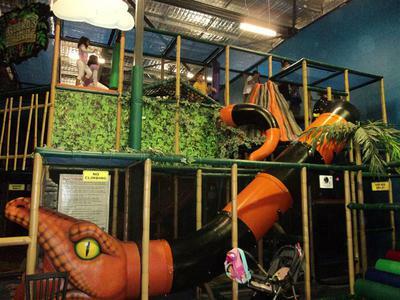 Why not take advantage of the air-conditioned comfort of Geckos Family Fun Centre for your next family outing and experience some quality family time that is fantastic value for money. Why? Get the whole family together for an outing where all ages are kept entertained. When: Monday-Thursday 9:30am-3:30pm, Friday & Saturday 9:30am-9:30pm, Sunday 9:30am-5:30pm. Check the website for extended school holiday opening hours. Cost: Childrens pay for play from $6.50, adults pay for play from $3.50, game cards from $5.00. Staff were outrageously rude and unkind. Will never return. Geckos, bullying your customers is not a wise move. We went today to enjoy our day with the kids, and we were until we had problems with your manager. We paid $35 entry fee for our kids to play today, and had previously bought a 12 game card for $60. While I played with my eldest, my wife asked the staff to heat up some baby food for my 8 month old infant, which they did, and we had a peeled apple for my son to eat, who is a toddler. We then had your manager send staff over to tell us that we cannot have outside food. If it was because of an apple, we were feeding our toddler with it although my mother in law finished what he couldn't eat. You don't sell fruit at all, which is a pretty big shame, and you already were $95 up. If I was sitting there chewing into a McDonald's happy meal, I would understand, but baby food and an apple? Really? I told the staff that I would be happy to talk to the manager if it was a problem. She never came. Well, I guess your manager wasn't happy with us. I started to have enough and took my mother in law home to come back to pick everyone else up. I walk in to see your manager counting money and I ask nicely if she could buzz me in. I get not so much as a word or a smile. I walk in to see my 2 year old boy so upset that he was screaming and my wife said a staff member said your manager said my older boy couldn't play in the youngest area. They were just sitting there quietly and there was *nobody* else in there. You wanted us to get the message that we were not welcome there and your bottom line is more important than your customers? Message received, and may you stay proud that you seriously upset my 2 year old to make a point. I will be spreading the word about this.